There's no better feeling than earning the game-winning out, but it's even better when it's against a familiar foe. Mariners closer ​Edwin Diaz experienced the feeling tonight, shutting the door on a late game rally by the Cleveland Indians. With Francisco Lindor at the plate, Diaz got him with his best stuff. As Lindor struck out on a 3-2 slider to end the game, he couldn't help but smile at his former Puerto Rican teammate. Lindor loves this game, and this isn't even the first time we've caught him ​smiling mid-pitch. 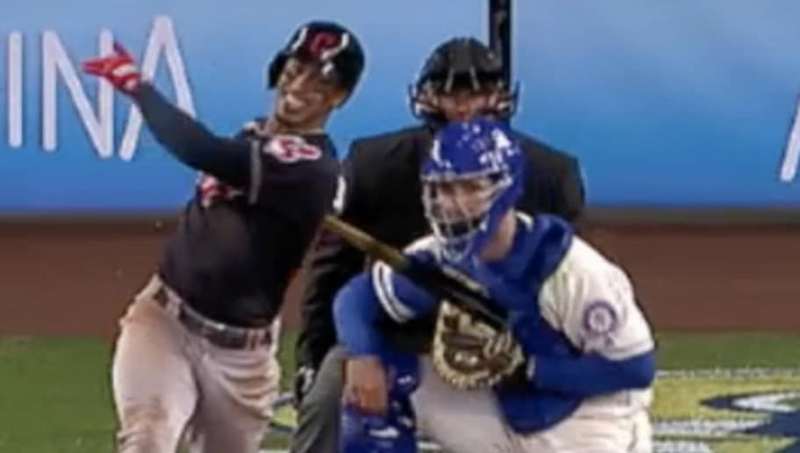 Lindor knew he lost the second he swung the bat. It looks like Diaz got the better end of the scouting report Sunday, because Lindor stood no chance. That slider was straight up filth to end the game. Lindor didn't have much luck at the plate on this Easter, finishing 1-for-4 with a strikeout. It's been a slow start to the season for the former All-Star, as he's yet to establish himself in 2018. This won't be the last time these two face off, but Diaz has the bragging rights after this matchup. The Mariners are smiling all way home as they improve to 2-1 and pick up their first series win of the season.